The Snuggle is Real – FREE Printable! Daylights saving is rough. I love the extra evening sunshine, but losing an hour of sleep requires an adjustment period. Over the past week, I’ve tried to modify my nighttime routine to get a full eight hours of sleep, but much to my dismay I find myself lying wide awake in bed while the clock ticks away. If you are in need a few extra minutes of shut-eye lately, enjoy this FREE printable! 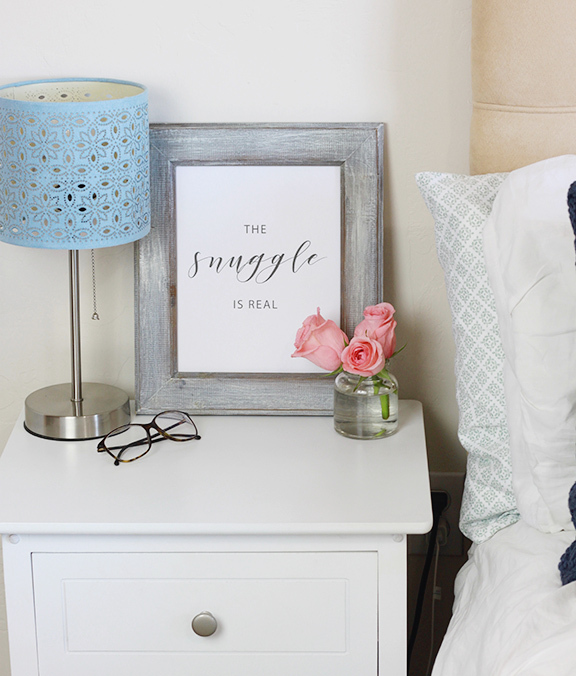 Download The Snuggle is Real print to brighten up your bedside table!